Saltwater farms have always held a special place in American lore. The romantic ideal of a farm by the sea was considered the ultimate pastoral dream for bucolic life. A saltwater farm was the best of both worlds; to own a farm that overlooks the blue ocean where you could farm the land in the golden sunshine was the ideal. 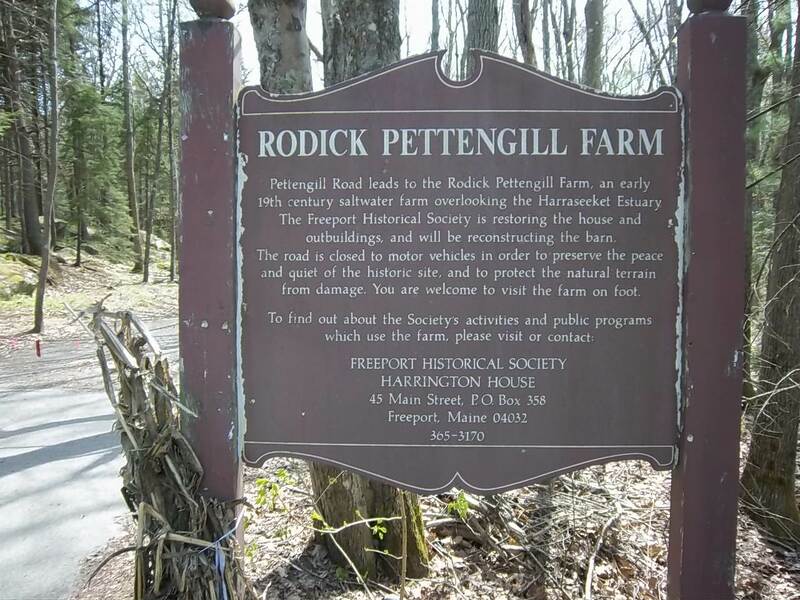 The Pettengill Farm in Freeport is an authentic saltwater farm that has been preserved by the Freeport Historical Society. The saltbox–style house, built around 1810, sets on 140 acres that overlook an estuary of the Harraseeket River. In the midst of a wildflower carpet, the house is situated on a slope that sweeps down to the water. As you walk around the farmhouse you can feel an aura of serenity in this space that is devoid of wires and all the disfiguring encroachments of modern society. Time seems to standstill here as you listen to the calls of birds and chirping of crickets. Mildred Pettengill and her brother, Frank, lived and worked the farm until Frank’s death in 1960. Mildred remained there alone until 1970. 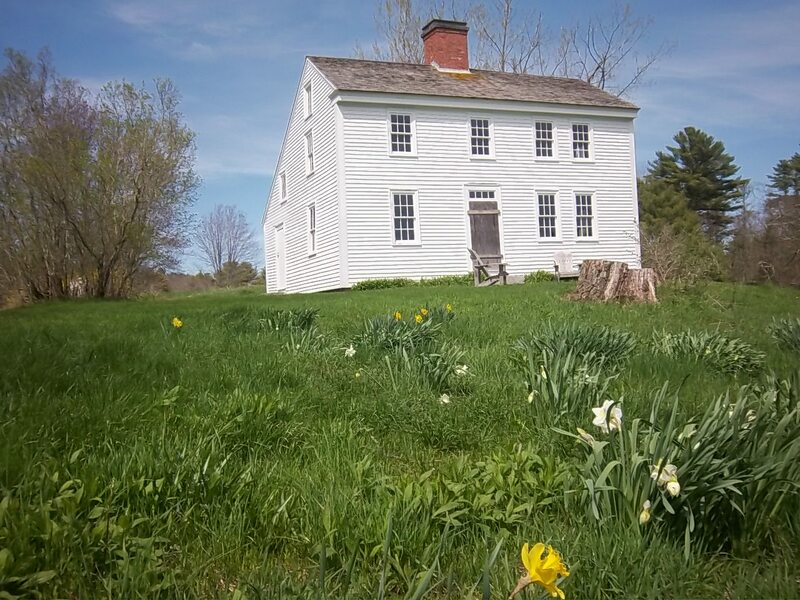 The farm was acquired by the Freeport Historical Society and has been listed in the National Register of Historical Places since 1973. Once a year, in October, the farmhouse is opened to the public. A tour of the house, without electricity, plumbing or central heating, illustrates how hard life was for older generations. There are remarkable etchings, called sgraffitti, of sailing ships dating from the War of 1812 on some of the second-floor walls. When we first started visiting the farm about twenty years ago, there were several outbuildings in a dilapidated condition which have since been razed. 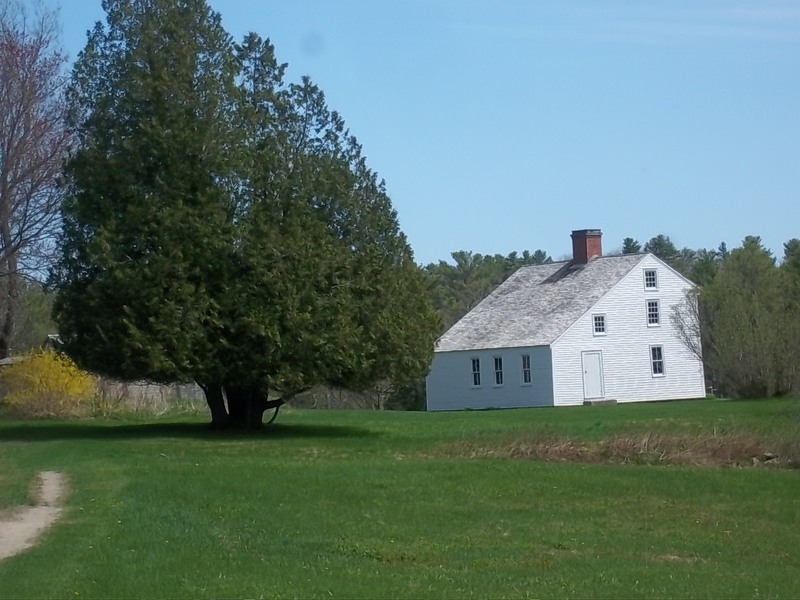 The Society has an ongoing restoration project to restore the farm to its former state. A small milk shed was rebuilt as an Eagle Scout project and the barn was just rebuilt last year. 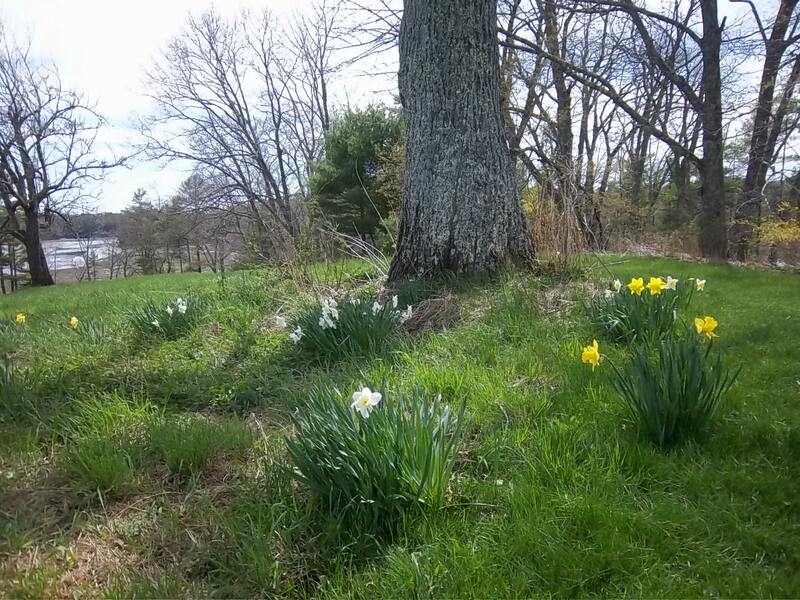 A small apple orchard is on one side of the property; it should be a gorgeous sight when the blossoms are in bloom. The surrounding fields were farmed with corn, millet, oats, beans and other vegetables. The Pettengills kept pigs, horses, cows and oxen on the farm and harvested marsh hay and clams from the cove. In the back yard is a flower garden that was cultivated by Mildred. She lovingly tended the garden and used discarded bricks to make paths, still visible today, that encircled the flowers. A gravel road, about one-half to three-quarters of a mile leads from the parking area on Pettengill Road through a splendid woodland to the farm. It takes about fifteen minutes to walk in. This walk is part of the mystique of visiting the farm. 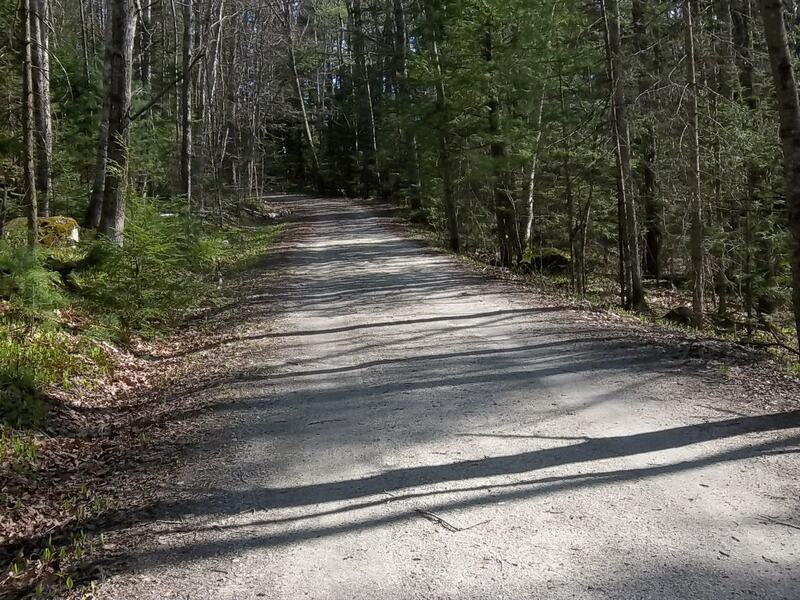 You pass stands of hemlock, pine, birch and oak trees; (see how many you can identify.) Listen to the calls of several species of birds, including the staccato tapping of woodpeckers. Check the banks along the road for wildflowers. Look at the dappling patterns of sunlight streaming through the tree branches. There is an area of stone bluffs rising from the side of the lane that are extremely scenic. As I walk the path, I always wonder if Mildred and Frank had a car or if they travelled by horse and cart down the lane. This farm is a wonderful resource and example of a lifestyle gone by. It is well worth a visit for the beauty and to ponder life on a saltwater farm. From the center of Freeport, take Bow Street for about 1.2 mile to Pettengill Road on the right. There is a small parking area there and an informational sign. The gravel road begins there. After your walking visit to the Farm, you will probably be ready for a meal. 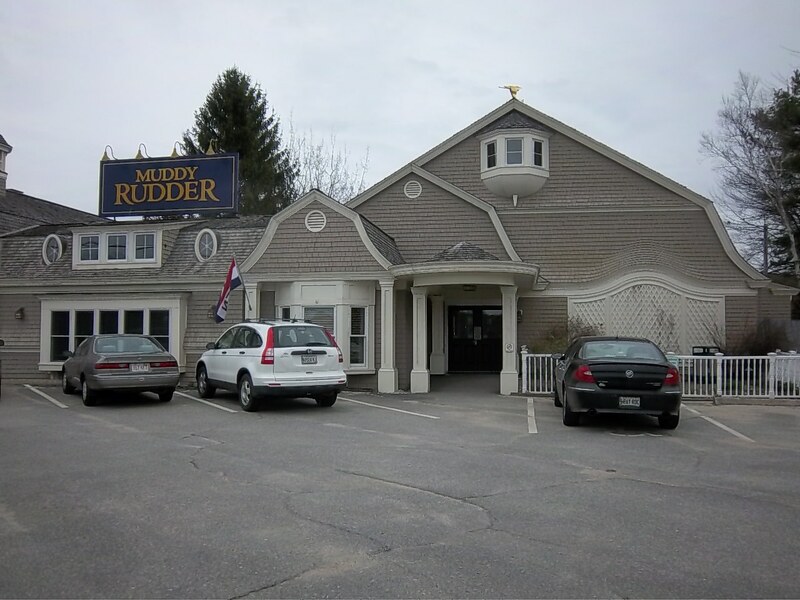 We suggest the Muddy Rudder on Route 1 in Yarmouth just beyond the Freeport line. 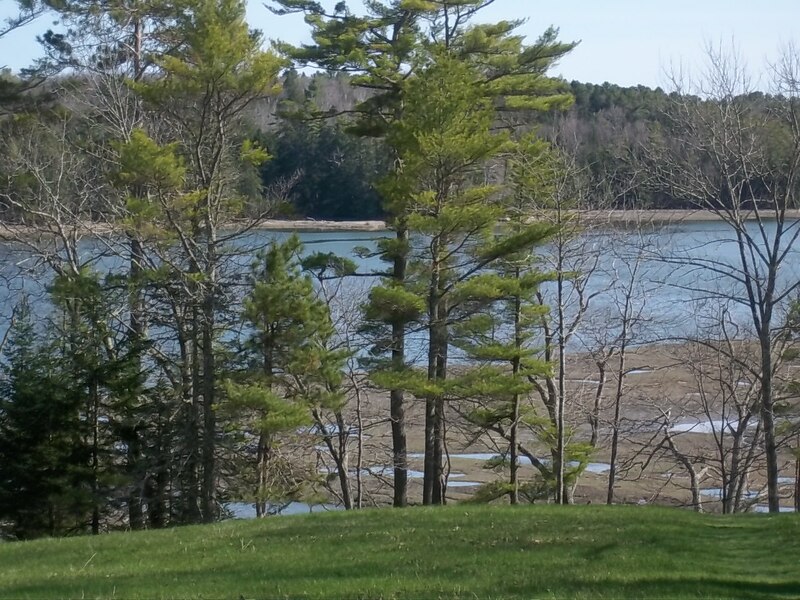 The beige-shingled building, on the CousinsRiver, is classic New England style, and theinterior with its soothing greens and windows on the water has an ambience that is soothing andrelaxing. They serve lunch and dinner, offering seafood, beef and vegetarian entries, with daily specials. 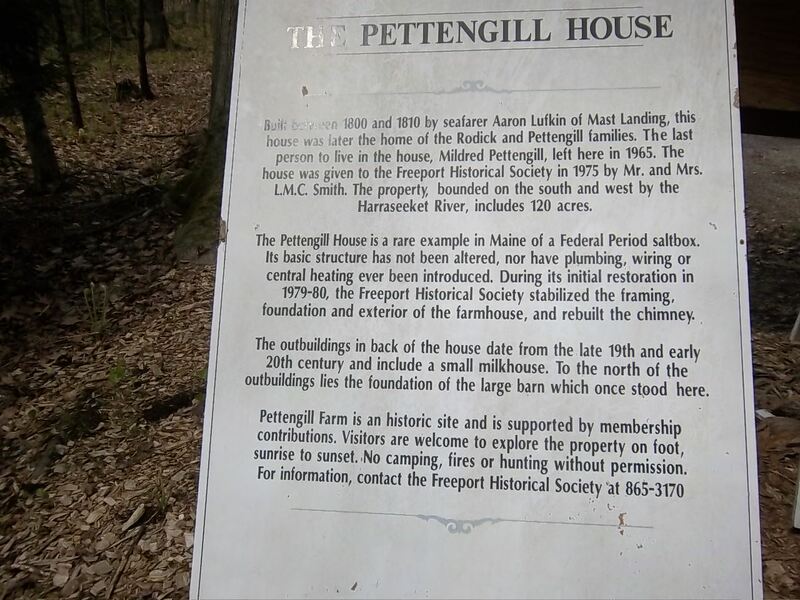 This entry was posted in Historical, Maine, Nature and tagged Freeport Maine, History of Freeport, Muddy River, Pettengill Farm, Saltwater Farm, Yarmouth Maine. Bookmark the permalink.